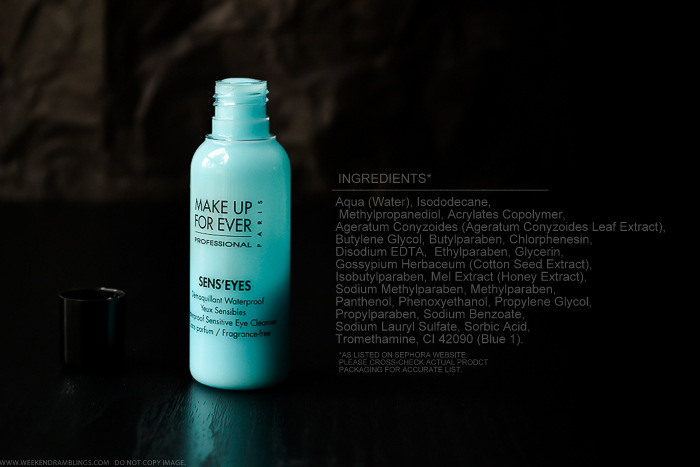 A mineral oil-free, gel makeup remover for eyes and lips, Make Up For Ever Sens'Eyes instantly removes impurities and even waterproof makeup on the most sensitive eyes, and works well for contact lens wearers. Moisturizes and soothes eyelids. Extremely effective and incredibly gentle, this lightweight cleanser won't leave the eyelids feeling greasy. Dermatologist and ophthalmologist tested. A while back, I was on one of my usual Sephora-swatching sprees and quite enthusiastically tried the Urban Decay Waterproof Liquid liners - all the colors seemed to be there at the practically deserted counter, and I could squiggle to my heart's content on my hands. 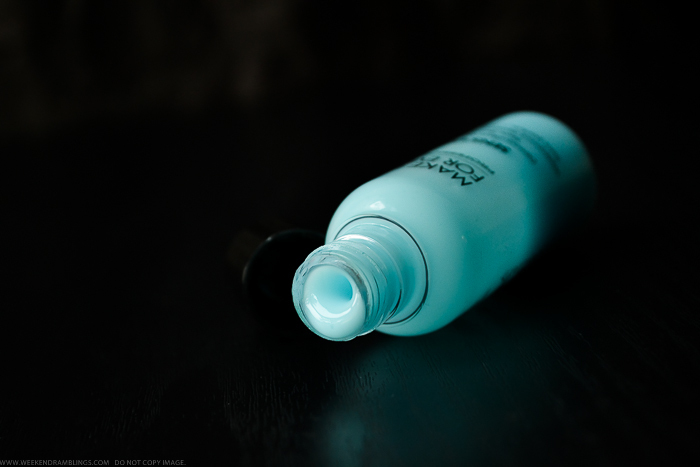 It was only when I tried taking the swatches off that I realized just how stubborn UD liners can be, and just how amazing Make Up For Ever's Sens'Eyes makeup remover was! As impressed as I was with it, I never did buy it. I got lucky and got it as a Sephora points perk instead :D Anywho, on to the makeup remover, it's a blue, thick, lotion-like product. To use, I either dab some on my eyelids and wipe off with cotton or moisten a Q-tip with a bit of this makeup remover for more precise cleaning. It takes off every bit of eye makeup and pretty quickly too. Plus, it doesn't leave the skin greasy or oily like a lot of other waterproof makeup removers do (neither does it dry out the skin). There is one tiny problem though, and I just might be the only one who has this issue - I have to be careful not to get any of it into my eyes, seems to irritate my eyes a bit. Not too much, but definitely something I have to be wary of. Bizarre considering it's meant for "sensitive eyes." 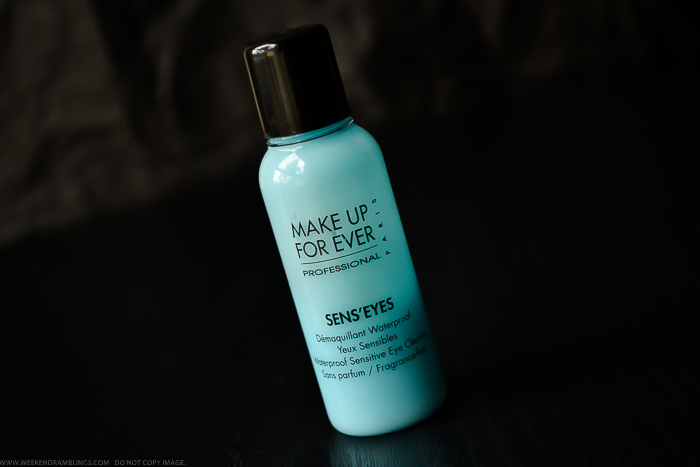 Despite that, Make Up For Ever Sens'Eyes Cleanser would be my pick for the best eye makeup remover I have tried so far! Looks cute in your pics as always :) I tried the Clarins eye makeup remover and wowwwwwwwww you must must must try it Rads.. It works like a magic ! !